Last night, the 48th annual Country Music Awards aired at 8/7pm on ABC network.The show was hosted again this year by Carrie Underwood, whose baby bump stole the show, and Brad Paisley. Both country performers gave great shows singing their newly released singles “Something In The Water” and “A Perfect Storm”. 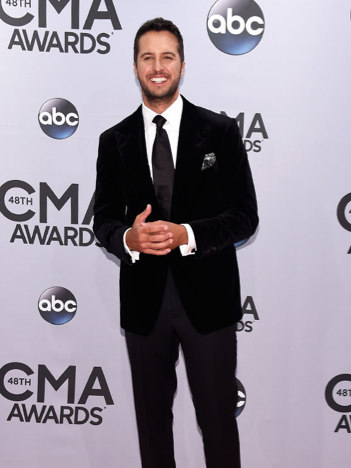 Luke Bryan was the star of the night winning Entertainer of the Year! Album of the Year, Female Vocalist of the year, and Single of the Year went to Miranda Lambert. It was also an impressive night for Lambert’s husband, Blake Shelton, who won Male Vocalist of the Year!